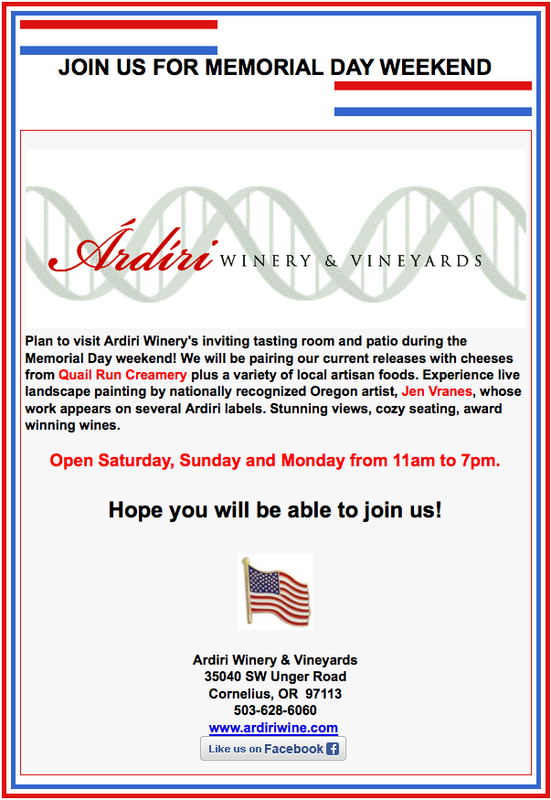 Memorial Day Event at Ardiri Winery and Vineyards! Join me for the Memorial Day Weekend Event at Ardiri Winery and Vineyards located just outside Portland, OR. Ardiri Winery sits atop a hill overlooking the picturesque Willamette Valley, in the heart of Oregon's beautiful wine country. I will be there with 10 of my latest pieces from my "Romantic Series" and will be painting live during the event. Here is the invitation with more information. See you there!